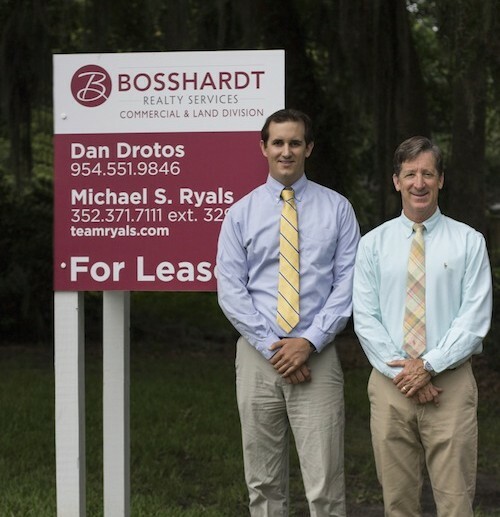 The Drotos Ryals Group is pleased to announce the successful lease transaction of 3436 W University Avenue on behalf of Drummond Community Bank. The location is the former Pat’s Kwik Stop located just off the corner at 34th Street and University Avenue across from the new PDQ. The space consists of 2,400 SF with a walk-up window and will be Drummond’s first location in Gainesville. Drummond Community Bank will provide a small-town personal banking experience and fill a void for a true local bank following the acquisition of most of Gainesville’s smaller banks over the last 18 months. Drummond currently serves Archer, Bronson, Chiefland, Cross City, Cedar Key, Inglis, Mayo, Trenton, Old Town, Williston & Surrounding Areas since 1990. Drummond Community Bank was organized in 1990 by a group of Chiefland business owners who saw a need for a locally owned and locally managed bank. Shares of stock were made available to interested investors who provided the foundation of what quickly became the dominant banking institution in the Chiefland area, and its only locally chartered bank. Named after Mr. Luther W. Drummond (1888-1973), Chiefland’s first banker, the bank first accepted deposits in January, 1990 and gained instant success. Drummond Community Bank currently maintains a 5-Star rating from Bauer financial, a private independent rating organization who ranks the safety and soundness of financial institutions on a nationwide basis. Drummond Community Bank has been a member of CDARS, the Certificate of Deposit Account Registry Service®, since 2004. In addition, the former President of Florida Citizens Bank, Carl Walls, has officially joined the management team at Drummond and will be instrumental in their future growth. Mr. Walls had been with Florida Citizens Bank since its inception in 1998 but made the transition following a recent buy-out by Harbor Community Bank. 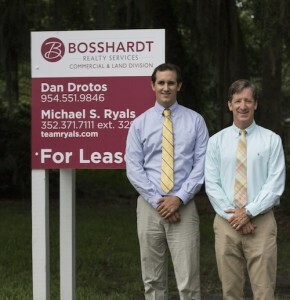 Mike Ryals and Dan Drotos are grateful to have represented such a staple of our local community and wish Drummond Community Bank much success with their entrance into the Gainesville market.